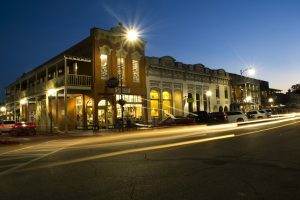 The Oxford Board of Aldermen will hold a public hearing on Tuesday to discuss plans to designate the Square as a “Downtown District,” a special district which would operate under different laws and introduce a special set of requirements for businesses that fall into the new district. Some of the proposals in the ordinance include placing ID scanners at the entrance of bars to prevent underage people from entering, having cameras at all entrances of restaurants and requiring bars and businesses to have a minimum of one security worker per every 50 customers. “Only if you’ve been under a rock have you not seen that we have had some issues in our downtown area that we are determined to change,” Oxford mayor Robyn Tannehill said. The “Downtown District” is defined as the area west of the courthouse, beginning on the west side of the Square and proceeding west on Jackson Avenue to include businesses on the south side of Jackson Avenue to South 10th Street; then proceeding south to the north side of Van Buren Avenue to include businesses on the east side of South 10th Street and then proceeding east on Van Buren Avenue to South Lamar Boulevard to include businesses on the north side of Van Buren Avenue. Tannehill said the reason the city designated this specific area as the “Downtown District” is because this is the area that “is already closed off” to traffic during the weekend. The proposed ordinance recommended by OPD has been under development with the Board of Aldermen since October. The city has met with local businesses several times to discuss the proposed ordinances and new requirements for the businesses that fall in the “Downtown District” boundary lines. Earlier in the year, the Board of Aldermen passed an ordinance that extended the operating hours of bars on the Square to 1 a.m., which was a part of OPD’s recommendation for the “Downtown District.” The ordinance was met with wide approval from bar owners on the Square. 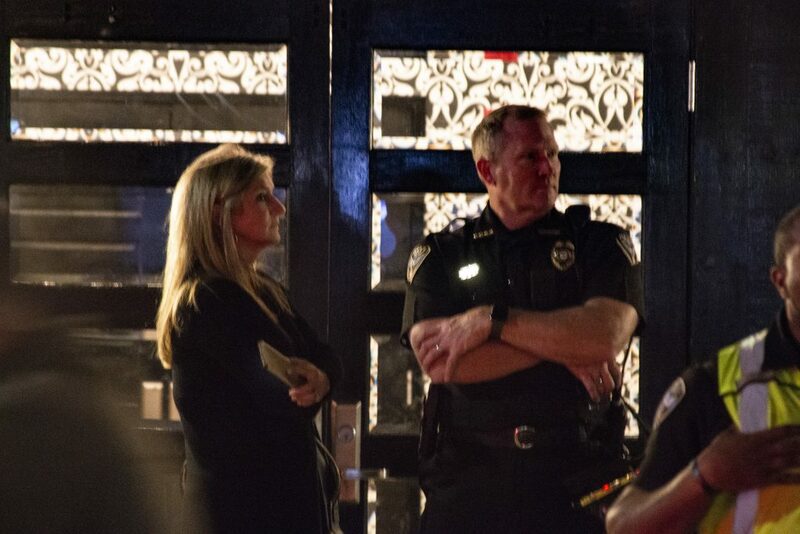 When the shooting occurred at The Lyric Oxford on the first night of the Double Decker Arts Festival, Mayor Tannehill spoke about prioritizing the security of the downtown area. This incident led to OPD requiring businesses to develop a safety plan that includes evacuation strategies for emergencies. East also said businesses should have a plan for how to deal with an active shooter situation and owners should go over the plan with their employees. These plans would have to be approved with by OPD and the Oxford Fire Department.